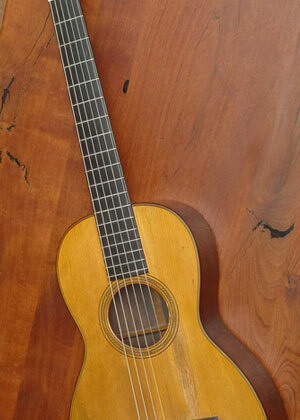 This historically significant Gibson L-1, 12-fret flat top guitar, is the earliest true Gibson flat top guitar on the market today. As well as the one in the best, original condition. 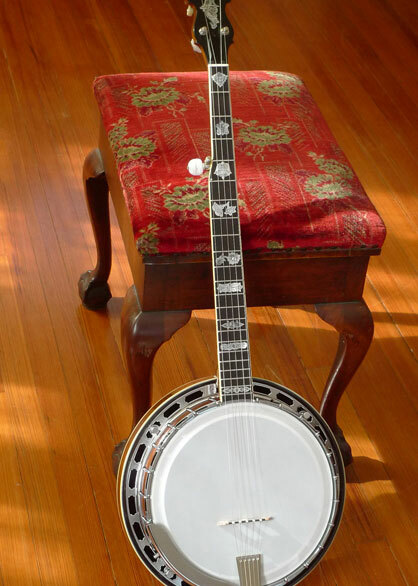 And it is a rare example, exhibiting transitional features that place it just barely after the 1926 introduction– yet still a 1926 model (Factory order number: 8406)– but leaning toward a few subsequent, very early changes that would establish Gibson on the flat top scene that Martin had carved out so well. 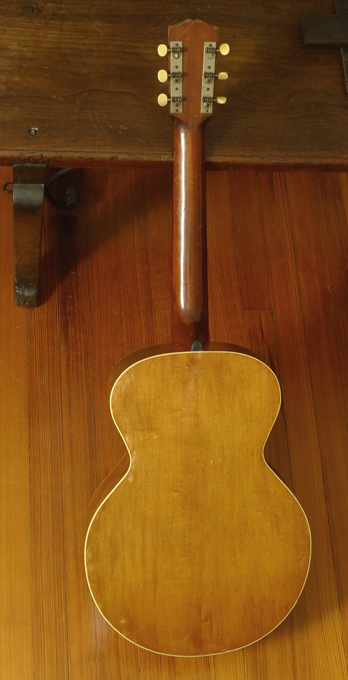 Introduced in ’26 (there was already a L-1 archtop), the original Gibson L-1 flat top had a 13-1/2″ body, wide V-neck, and H-bracing. The L-1 later achieved fame due to its association with the legendary bluesman Robert Johnson. Its rounded lower bout, combined with narrow waist, is distinctive. 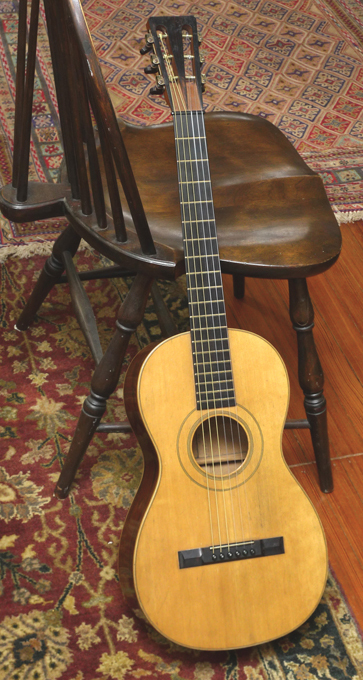 And its thin braces, thin finish, and thin woods give it a wonderful woody yet loud, cutting, bluesy tone that no 1930’s– much less more modern– Gibson or Martin could achieve. 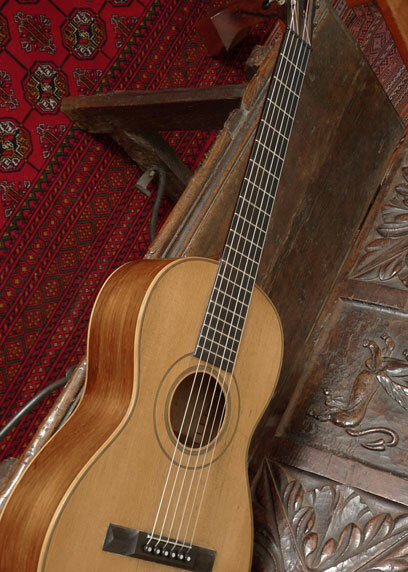 It is the transitional nature of this particular guitar, that is intriguing. The very first L-1 flat top, had an arched back (birch, or maple), and a pretty fat V-shaped neck. 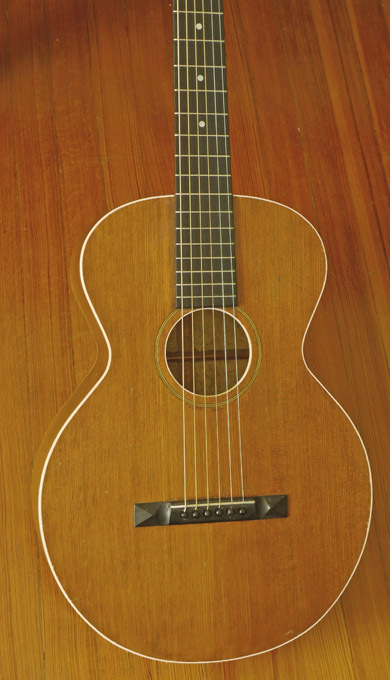 Other traits of the very first L-1 flat top: single bound top; maple back and sides; no truss rod; unbound ebony fingerboard; H pattern top bracing; “The Gibson” paint logo straight across peghead; light amber top finish; Sheraton brown finish on back and sides; single bound back. But this L-1, though very early, does not have arched back, but rather a true flat top-style back. And its neck is a great-playing C shape, not overly fat, and not a V shape. Furthermore, it has “A” bracing, not the standard H bracing. Finally, this guitar has a (original) ebony fretboard with virtually no radius. It’s a true “transition” example. 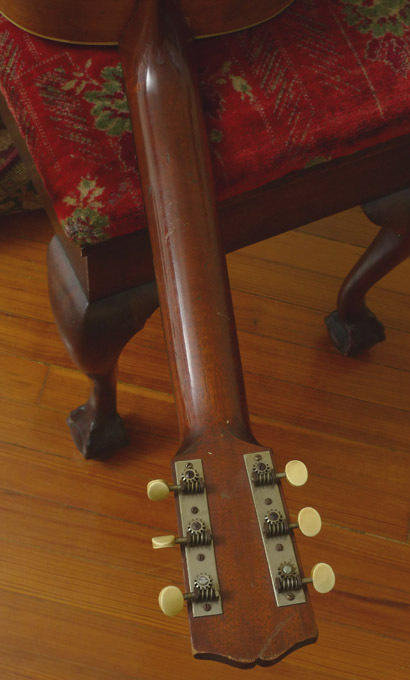 It is notably not a hybrid put together from old L-1 archtop parts– as were the very first L-1 “flat tops” out of the gate in 1926. 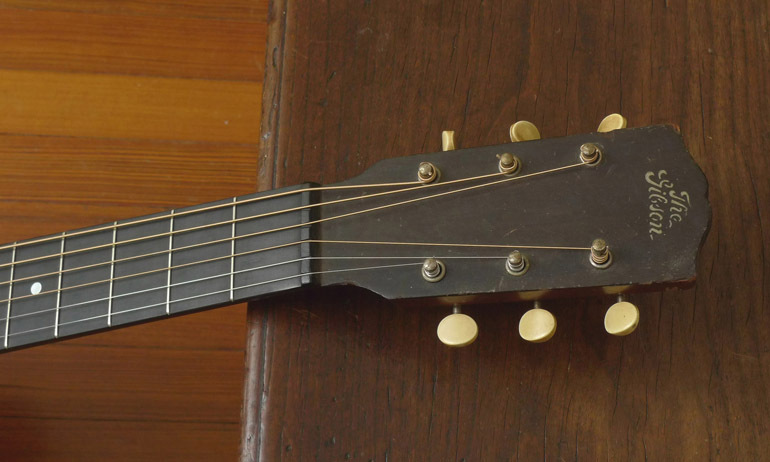 Every part of this guitar is original, except a new saddle, and the one replaced tuner post. Even the bridge pins are original. The neck was just set by us, perfectly. Intonation is perfect, all the way up to the high frets. Action: 3/32 over 4/32 inch (high E; low E, at 12 fret). This guitar is a rare example of the first true Gibson flat top, and is the earliest made on the market that is indeed a true Gibson flat top– not a hybrid Gibson archtop/flat top. If you acquire this guitar, you’ll have boasting rights to the first Gibson flat top still in existence. But that’s all for show. More than anything, this guitar plays beautifully. It’s hard to put down. Its tone is wonderful. It has clear, glassy trebles that only the combination of maple back and sides with the very thin build, can deliver. This is a guitar whose trebles and mids you will not find on any other instrument. It is a combination of that uncompromised, pure woody tone from the great 20’s flat tops, but with the clear, louder trebles and mids that are haunting, and fill the room, even with the lightest touch.